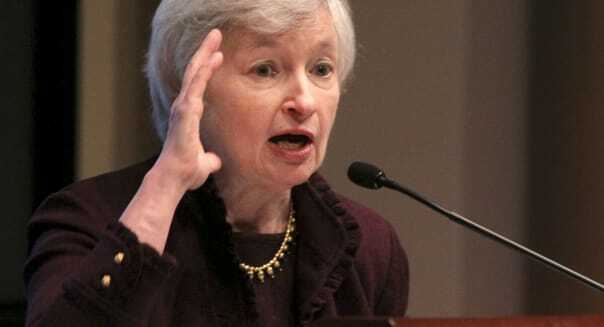 Sandy Huffaker/Bloomberg via Getty ImagesJanet Yellen, vice chairwoman of the Federal Reserve's board of governors. Just ahead is a rare wave of new faces joining the policy-setting Federal Open Market Committee, which consists of the seven governors and the presidents of the 12 regional Federal Reserve banks. The voting members of the FOMC include, in addition to the chairman and vice chairman, the five other governors and five of the regional bank presidents -- the president of the New York Fed and four others who rotate into voting positions each year. One of those governors' spots is vacant now. Another might as well be: Sarah Raskin skipped the recent meeting in light of her pending departure to take a top spot at the Treasury Department. Bernanke will leave by Jan. 31. Two others are likely to exit in 2014: Jerome Powell, whose term expires at the end of January, and Jeremy Stein, who will return to his tenured professorship at Harvard by late May. Including the four rotating regional bank president slots, that means nine new faces among the 12 voting members next year -- or 10, if Yellen doesn't get the nod as chairman and departs. Historically, the governors fall in line behind the chairman. They're usually picked on the basis of expertise in bank regulatory issues, consumer credit policies or other technical work that the Fed carries out. But they cast votes on monetary policy, and their allegiance to the chairman can't be taken for granted and will be closely watched over the next few months. Regional bank presidents more frequently break ranks and question the chairman's direction. All this new blood will make it harder for financial markets to gauge the effectiveness of the new chairman's leadership, adding volatility to long-term interest rates. And until the newcomers settle in, rates are likely to be a bit higher than they otherwise would have been. %VIRTUAL-article-sponsoredlinks%That matters. Although the bond market moves in small increments, just a quarter-point increase in interest rates can add thousands to the cost of a home buyer's mortgage and hundreds of thousands to the price of financing a business merger or acquisition. Recent history clearly demonstrates the sensitivity of financial markets to uncertainty about the Federal Reserve's direction. The 10-year Treasury yield has nearly doubled since spring, rising from 1.6 percent then to nearly 3 percent now. Much of the increase came after an FOMC statement last June. Financial markets interpreted it to mean that Bernanke and company were signaling a sooner-than-expected boost in the federal funds rate. The stock market took a tumble, and interest rates rose in Europe as well as in the U.S. Bernanke hastened to make clear that no such signal was intended, and volatility eased. But the increase in rates hasn't reversed. The markets want to see where a new chairman will lead the FOMC and whether dissent emerges. Some new FOMC members will want the central bank to focus more on the goal of holding inflation in check, arguing that even though prices are not surging now, the Fed is drifting off course. That sets the stage for a clash with Yellen, who thinks the focus should be on the other half of the Federal Reserve's two-pronged mission: managing -- in this case, reducing -- unemployment.